It goes everywhere you go. Ultra-resistant, with adjustable ergonomic straps. 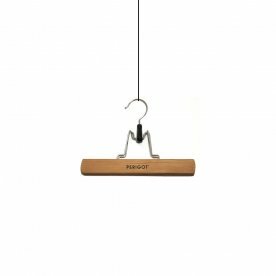 Hang these wooden clothespins on your clothesline like in the old days, or use them to keep bags of coffee or pasta tightly shut. With "Pastel" collection, Frédéric Périgot worked again on the "Essentials" of the everyday life, by being interested more specially in the universe of the Bathroom. He drew a complete line allying innovative design and powdered colors. 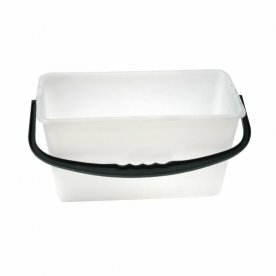 More elegant than an ordinary bucket, its rectangular shape makes it easy to store in a corner and use with large head mops and brooms, like the wet mop. It has 15 liter of capacity. With a shower head so to not tramp on the soil! 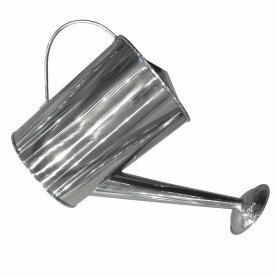 In a chic chrome, it will light up your terrace or garden... Our tip, make a couple of holes with a stick before watering so that the water will better penetrate the soil, and privilege the evening for watering. To clean both inside and out, spaces large and small. 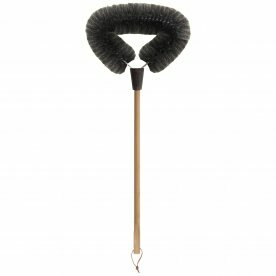 This telescopic broom will amuse the kids, please the adults, and fit perfectly into cramped closets. Both sponge and wiper sides banish smudges and dirt to get windows spotless! Its lightweight material eases pressure on shoulders and arms, while its telescopic design makes for optimal storage. 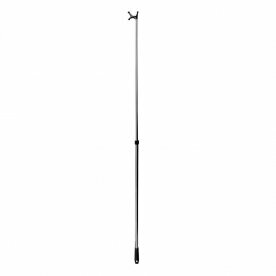 Extend your reach with the telescopic pole, which can stretch from 80 to 150 cm long to grab hard-to-reach hangers or open and close skylights. 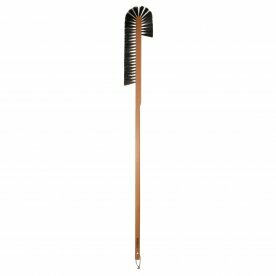 With its goat hair bristles, whose flexibility and durability need no advertisement, this cobweb broom is ideal for removing dust and cobwebs from your walls, beams and ceilings. 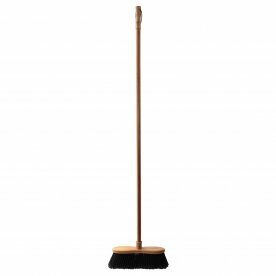 This regal broom conquers dirt, spider webs and dust bunnies in even the hardest-to-reach places : like under the bed behind appliances and radiators or between Venetian blinds. 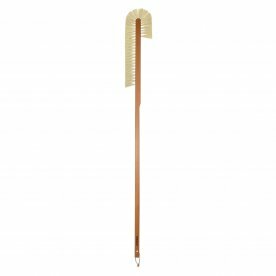 This regal wood broom conquers dirt, spider webs and dust bunnies in even the hardest-to-reach places: like under the bed behind appliances radiators or between Venetian blinds. Since bamboo grows quickly, this broom has a minimal environmental impact. A must-have! 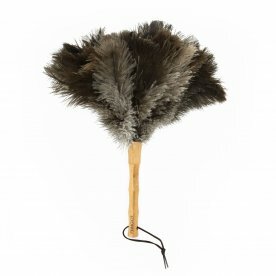 With its origins in South Africa, the ostrich feather duster's natural oils and barbs capture dust without moving it around, making this the household cleaning tool of choice. Perfect for fragiles surfaces or hard-to-move objects : television and computer screens antique furniture car window surfaces dashboards, and more. 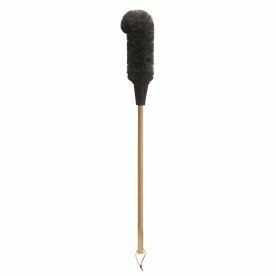 The oil in sheep's wool captures dust and makes this attractive, lightweight object a tough cleaning tool. 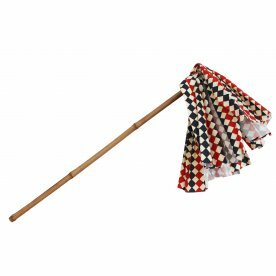 This duster, made of a bamboo pole and cloth strips, is a fixture in every Japanese home. 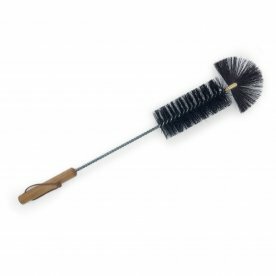 The hataki does not trap dust but, with its familiar sound, pushes it onto the floor, where it can be swept up. 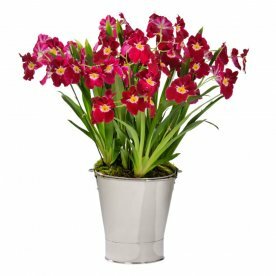 Legend says that using it activates the qi, the positive energy produced by Feng Shui. 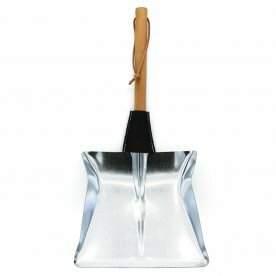 Stop bending over to pick up dust and dirt! 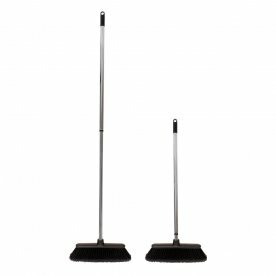 Teeth on the dustpan help clean the broom's bristles when you're finished sweeping. 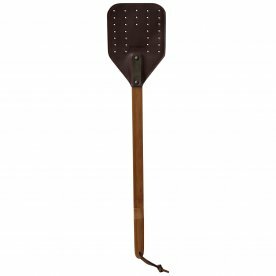 In galvanised iron to protect it from corrosion, this "essential" cleaning tool has a wooden handle with leather sheath, giving it a particularly smart appearance. And don't forget its function: it gathers up dust! 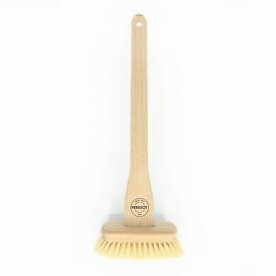 This beech wood brush with vegetable fiber bristles gently scrubs bathtubs and showers in enamel, acrylic, fiberglass, etc. The style come of another time, to dust pillows, carpet and quilt cover. Wicker. 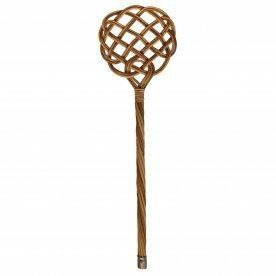 This wardrobe brush is exceptionally flexible, thanks to its goat hair bristles, perfect for dusting your old (or new) wardrobe, hard-to-reach corners, carvings and all! 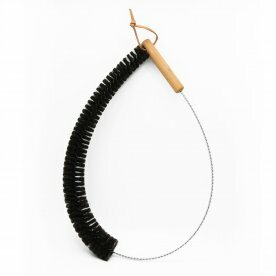 After its creation in a small corner of Egypt in 52 BC, the fly killer made its first appearance in European royal court in the 10th century. 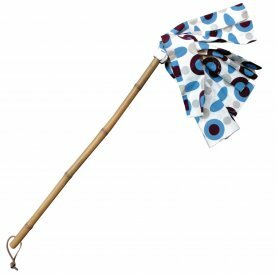 Today's version has a bamboo handle and perforated leather head to fly quickly through the air. 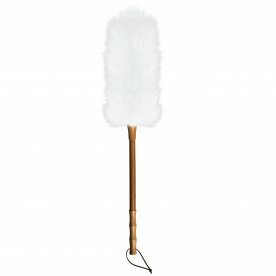 This brush is surprisingly flexible, a genuine "cleaning contortionist", with its goat hair bristles whose suppleness and durability are well known. It can be bent in every direction to reach the hidden nooks and crannies in all kinds of radiator. 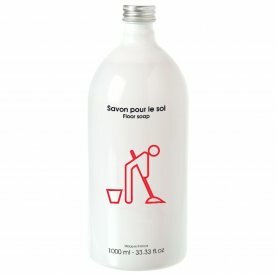 An indispensible household tool for cleaning bottles, carafes and babies' bottles. 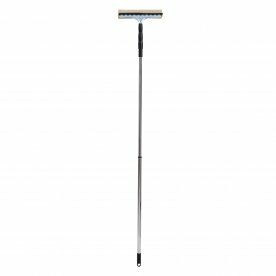 Firm and robust, its pig bristles remove dirt efficiently, and even crystal can be cleaned without leaving micro scratches. HEDGEHOG This affectionate hedgehog is always there to greet you when you come home from a walk in the country or a rainy day in the garden! DECK The beech wood doormat rests on non-slip rubber feet for indoor/outdoor use. 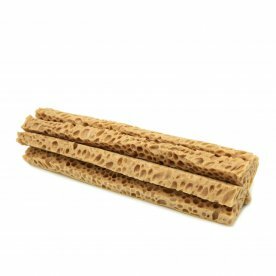 Its natural fiber bristles are perfect for cleaning shoes while resisting wear and tear. Clean the entire mat with a quick sweep of the vacuum on top and bottom. 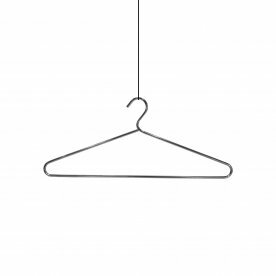 Hang as many of these attractive, basic hangers in your closet as you like to keep your clothes wrinkle-free. 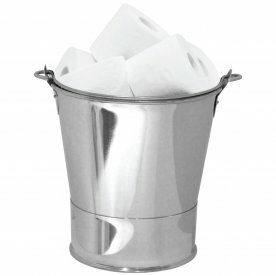 The chrome is perfect to not waste the fiber of the most sensitive and fragile clothe. 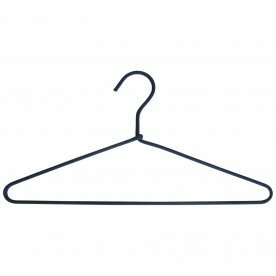 This anti-slip hanger does wonders when it comes to hanging garments; even silk, wide collars, and strappy summer dresses won't slip! 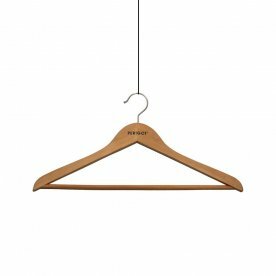 This warm, always-reliable wooden hanger gives shirts their rightful place in a well-organized closet. 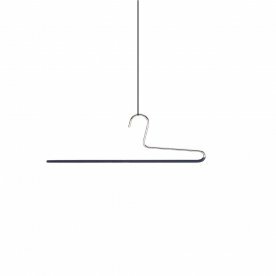 HANGER ANTI-SLIP "1 BAR "
This anti-slip hanger was without a doubt made for those everyday trousers that you're sick of finding crumpled up at the bottom of the closet. 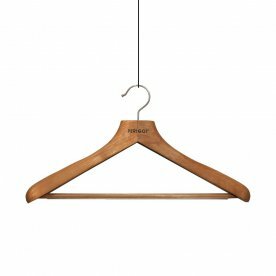 Colored, always-reliable hanger gives shirts their rightful place in a fun well-organized dressing! Suits require special attention, and jackets need curved support to keep the shape of the shoulders intact. 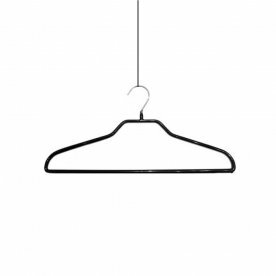 Bring warmth and elegance to your closet with this always-reliable wooden hanger. Hang trousers neatly by the hem and say good-bye to unsightly knee wrinkles forever. 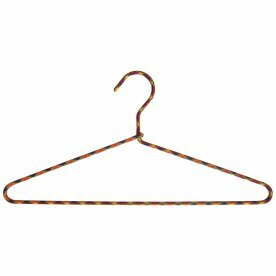 Bring warmth and elegance to your closet with this wooden hanger.